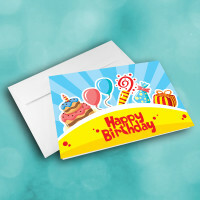 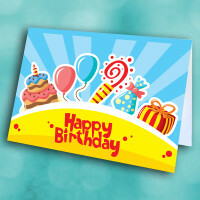 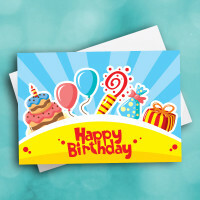 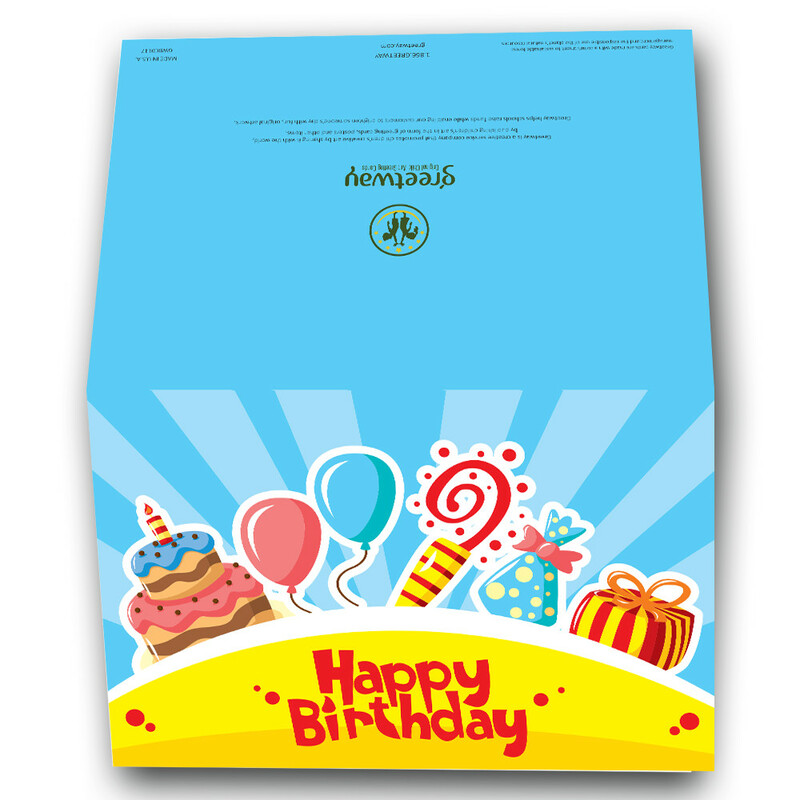 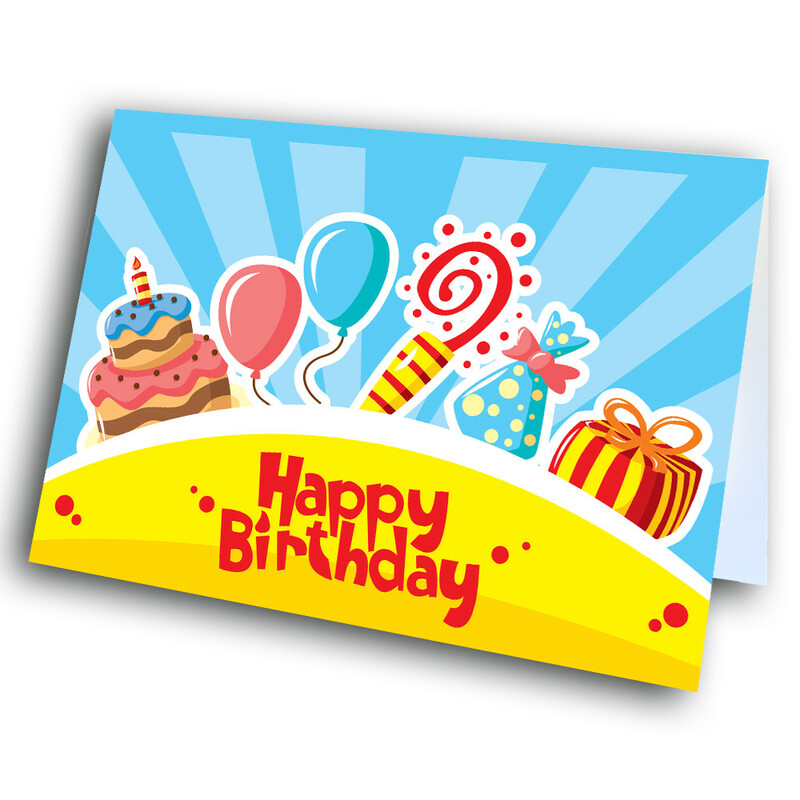 Share a burst of birthday excitement with this cheery birthday card. 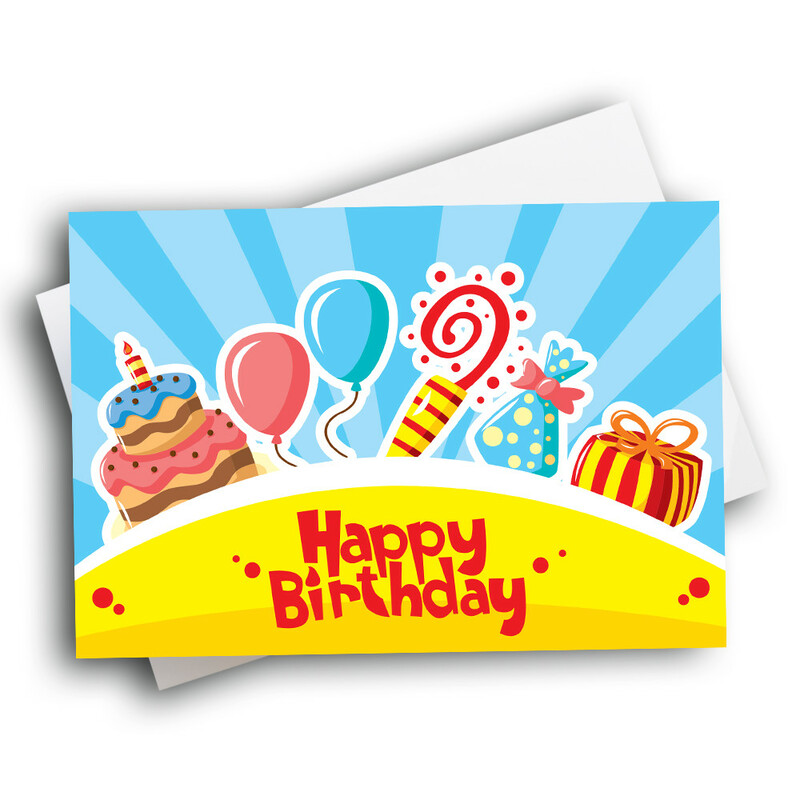 This birthday card is full of excitement and energy. 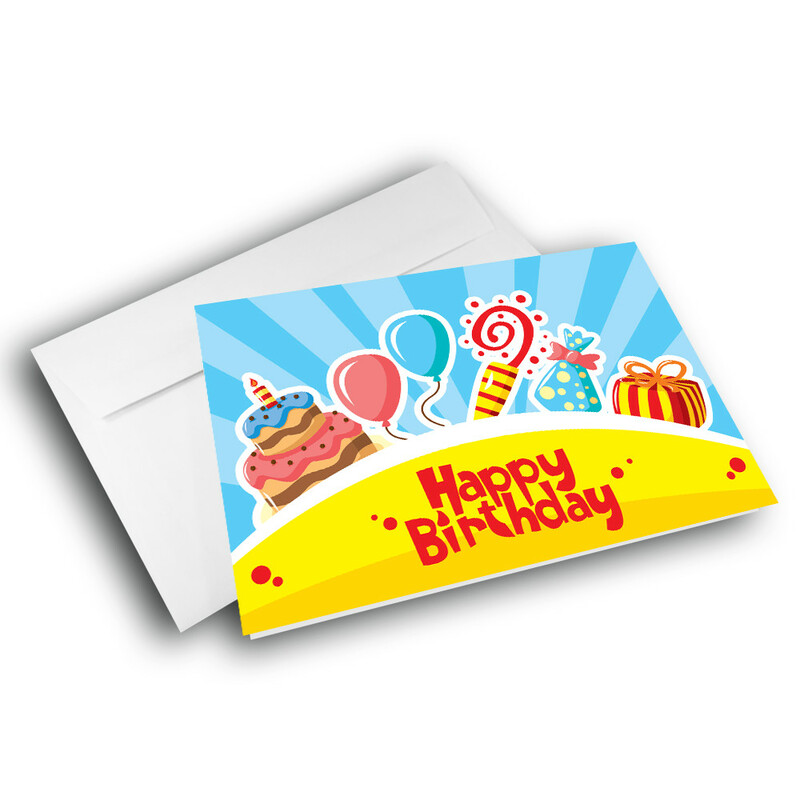 The front is a burst of all things birthday: cake and balloons and gifts galore. 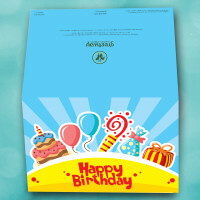 All are set against a blue background, sending out a sunburst of rays. 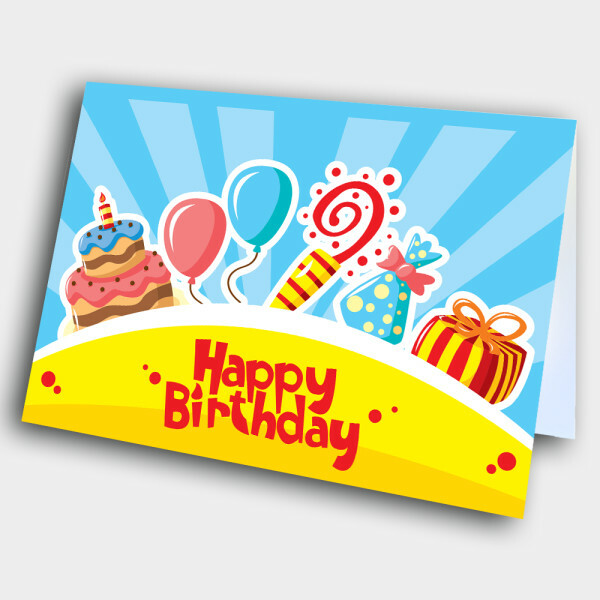 The birthday message sits against the bright yellow lower half. 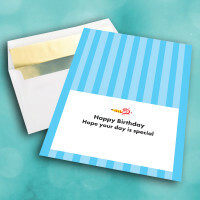 The inside is striped with different shades of blue, along with a sweet message. 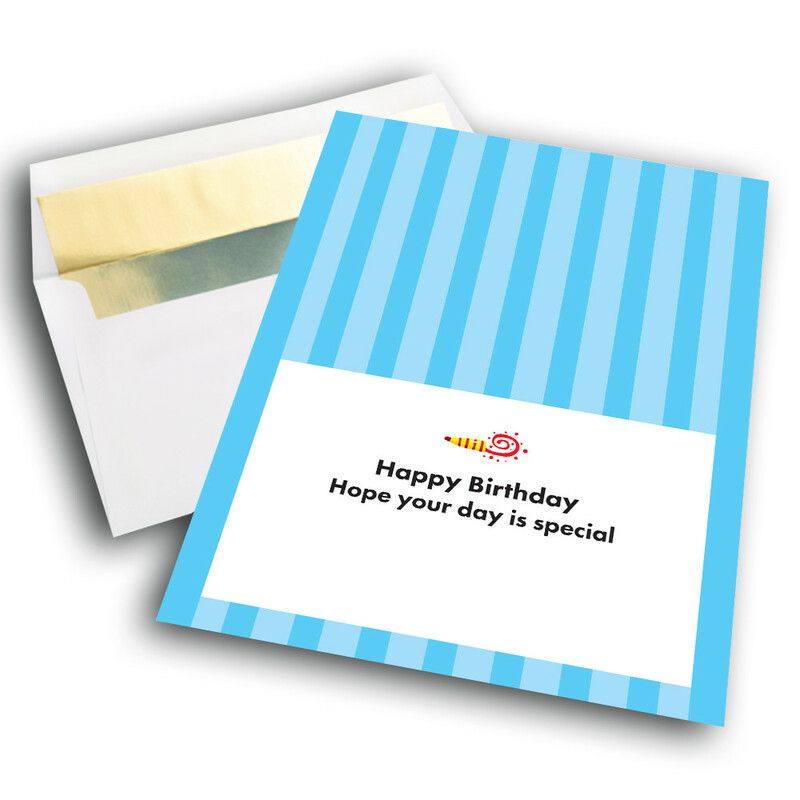 This message can be personalized to make the card unique and special.